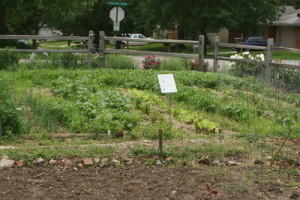 Community Crops coordinates many community gardens in Lincoln, Nebraska. The gardens are spread throughout the city to accommodate our participants. Our gardeners come from many different backgrounds and together they beautify our city while growing food for themselves. See the map below for the garden locations. Plot fees are on a sliding scale basis, and financial assistance is available for everyone who qualifies. 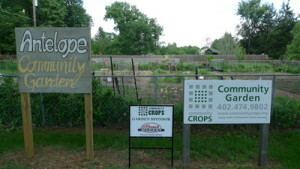 If you have questions about the gardens, please contact us at info@communitycrops.org or (402) 474-9802. How do I become a community gardener? Applications for new gardeners for 2019 are available now!. As a community gardener, you can expect to pay an annual plot fee, and an additional security deposit. Plot fees will differ based on the size of your plot, and if you qualify for financial assistance or not. Your security deposit, which covers set up and clean up costs, is roll-able or refundable if you clean up your plot at the end of the year. It will also differ based on if you garden with financial assistance or not. One garden plot is equivalent to 100 sq. ft (10′ x 10′), which is equal to 9.3 sq. meters (3.05m x 3.05m). You can sign up for more than one plot, though we generally do not give more than 4 plots to one applicant due to demand and space limitations. A full price security deposit is $50, while reduced cost deposit for financial aid gardeners is $25, regardless of plot size. Email info@communitycrops.org or call our office at 402.474.9802 if you have questions about our program! This video features one of our many partners in the Community Garden program, Live Yes! Studios. Live Yes! does amazing work, helping developmentally disabled adults through arts education. For two years now, Live Yes! has had a garden plot at our Southminster garden, where clients grow food and explore nature. The video below was produced by Nolan Tredway. Local businesses are instrumental in providing community garden space. It’s great recognition for the business, and means more resources for growing food for the gardeners! Become a Community Crops Garden Sponsor! Click on a carrot to learn more about each garden! Are you interested in partnering with Crops to develop a community garden? Whether you have land already or want to work with an existing garden, we would like to partner with you. We have put together some suggestions on how a community garden best works. AmeriCorps members through ServeNebraska provide important service to the community and youth gardens, ensuring that everyone has access to healthy, local food. Positions start annually in September.